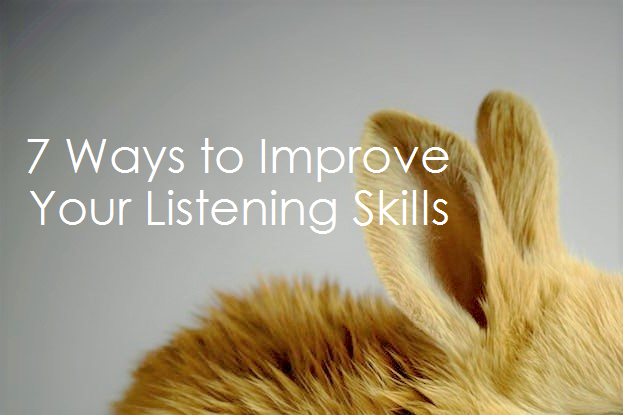 7 Ways to Improve Your Listening Skills - IRM Connects, by IRM UK | IT Blog. How can listening be a leadership skill? It doesn’t seem to make sense does it? Leadership is all about action and listening sounds so passive. That is why leaders need to know how to develop active listening skills. Think about it for a moment. A very simplistic way of looking at it is that you only learn new things when you listen, not when you are speaking. Leaders cannot lead effectively if they never learn anything new. Almarie Meyer, Consultant, AlmeyInsights, will be speaking at the Business Analysis Conference Europe 2017. She will be presenting a half day workshop on Using Assertiveness and the Power of Saying No to Improve Stakeholder Relationships . Active listening is a lot harder to do than it sounds. So often we listen only to prepare what we are going to say next. That is defined as waiting for your turn to speak, it is not listening. We are thinking about ourselves and not about the person we are supposed to be listening to. For most people it is extremely hard not to think about something else while someone is speaking. How to be an active listener at work, at home and at social events. Don’t judge the person while they are speaking. Listen with an open mind and try to see why they hold the opinions they do. To listen without judgement means that you are not preparing your counter-arguments and reason for disagreeing while the other person is still speaking. Don’t make assumptions. Listen for clues. It is so easy to assume we know why someone says something. We attribute our own emotions, biases, background to the speaker and assume that we know what they mean and where they are coming from. Rephrase what they said to ensure that you understood correctly. How often do you hear the phrase “But that is not what I meant!”. By telling someone what you understood using your own words will allow them to clarify any misunderstandings. Ask open questions. Open questions are those questions that cannot be answered with a Yes/No answer. Asking questions will confirm that you understood correctly and will get more information. Try to identify any assumptions you may have made and ask questions about these. For instance, you may be discussing how to speed up the delivery of a piece of work. The hidden assumption is that the work is still required in an unchanged state. Watch your body language. Is isn’t just an open mind and open questions that are important. You also need open body language. Show that you are interested in the speaker by staying relaxed, not crossing you arms and maintaining eye contact. You can even lean a little towards the speaker to show that they have your full attention. Please don’t fiddle with your phone or look at the time while someone is speaking. Don’t be impatient and interrupt. This can be very hard to do when you feel that some rambles and doesn’t get to the point, but if you interrupt someone you may never get to hear the full story. Make sure that you have enough time scheduled to have a meaningful conversation. If you know the speaker is someone who tends to ramble, then do tell them that you would appreciate it if they would stick to the point. In case where you do need to interrupt, do it by using your body language to show that they need to finish up what they are saying. Give feedback. Think carefully before you respond. Don’t worry about pausing and have some seconds of silence. The silence will add impact to your words when you do start speaking. Word your feedback in a positive way even if you disagree with the person. There will always be some points on which you do agree, so make sure that you acknowledge the areas of agreement before launching into the parts where you may differ. By practising these active listening skills you will find that you become a better communicator as well as a better leader. As with any skill, the more you practice, the better you will become at it. Almarie Meyer is a recovering YESaholic who has learned how to overcome the urge to do everything a customer asks for. She now uses better communication techniques to improve outcomes for both herself and her stakeholders at all levels. She loves teaching others how to avoid being overworked and stressed out, while still delivering over and beyond customer expectations. One of the best things a recent client has said to her is “The guys were nearly in tears when they heard you were leaving”. 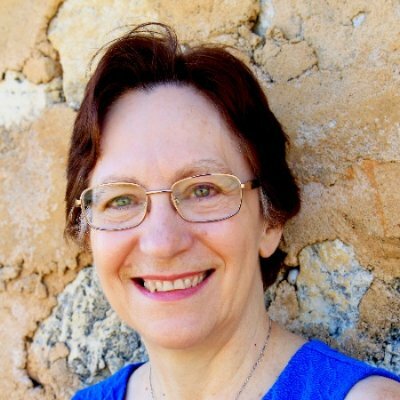 Her career started as an Operational Researcher in Johannesburg, South Africa in 1980 and has since moved across the Indian Ocean to Perth, Australia. She has worked in semi-government and private organisations, ranging from 30 to 150 000 employees, mostly in financial services, transport and utilities. She is also a keen Toastmaster and has a handful of degrees including an MBA. Most people listen to reply instead to learn… In the consultancy area this goes wrong many times. Consultant “solving” the “problem” while that is not even least clear.